Pink diamonds are perhaps the most coveted of all the colored diamonds. Over the last 30+ years, the source for most of these diamonds has been the famous Argyle Mine in Australia. 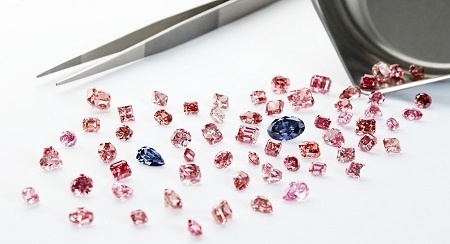 Prices for natural pink diamonds have consistently generated some of the highest auction price tags. In this post, Arpège Diamonds discusses some of the elements that contribute the investment potential of these beauties. Admiration for naturally occurring pink diamonds has seen a steady increase during the last decades. They have been deemed to be one of the most beautiful and precious diamonds globally and their immense rarity has caused an exponential value increase in the present diamond market. It is worth mentioning that the 24.7 carat “Fancy Intence Pink” diamond broke the record for the most expensive diamond sold in November of 2010, at Sotheby’s Geneva auction reaching a remarkable $47 million. Further, pink diamonds with a lesser carat range also enjoyed respectable appreciation rates during the past decade. An astounding 90% of these precious stones are produced by the Argyle mine in the Kimberley Region of West Australia. 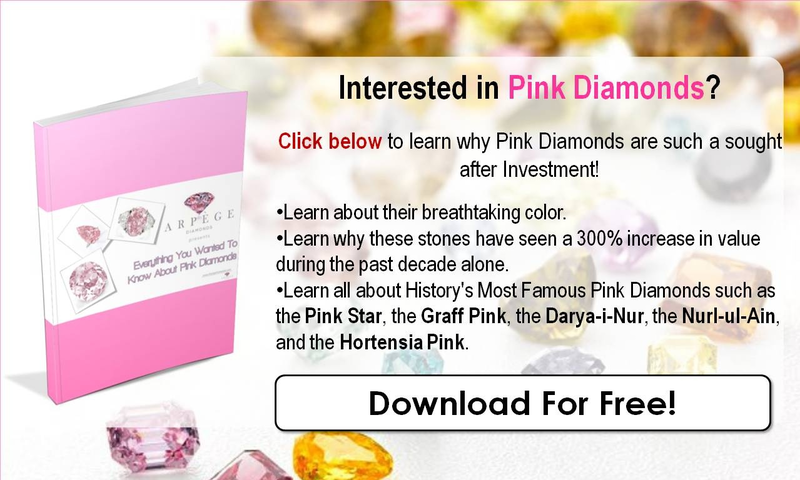 In addition to holding the lion’s share of the pink diamond market globally, this mine also has the reputation of producing diamonds with a unique “bubble gum” pink hue, unrivaled by any other worldwide. Although their magnificent appearance plays a great role, such exponential appreciation is more likely attributed to the laws of supply and demand. We must therefore understand the impact this product’s rarity has on its value in the present market. 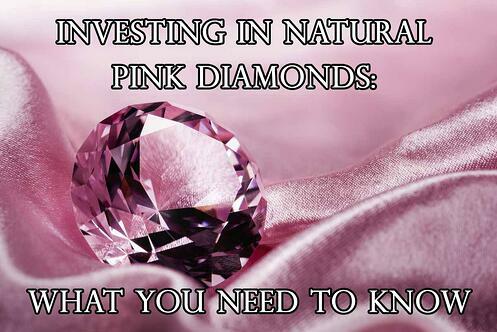 It should be noted that pink diamonds count for only 1% of stones mined. However, supply is expected to dwindle even further in the upcoming years, as a closure of the mine has been forecast for 2020 by Rio Tinto. The impending closure, coupled with a steady (or even increased) demand will undoubtedly cause positive price fluctuations. Another factor came to light during an Argyle Tender analysis for the period between 2010 and 2015. In these 5 years, prices experienced a 300% increase compared to previous Tenders. Initially it was believed that this was also due to exponentially heightened product quality throughout the years; but this was not entirely true. Stones had shown to be proportionately smaller, especially when compared those of 2 decades ago; further supporting the predicted cessation of Argyle mining operations in the near future. Finally, as business comes to a halt, so will its annual tenders, and thusly opportunities to get hold of these truly one of a kind stones. Nonetheless, this potentially translates to even greater escalation of pink diamond value for owners in the years to come, as well as, reducing chances for depreciation.